Volunteers are at the heart of our sport. Some make an immediate impact. Some give years of dedicated - and often unsung – service. All leave a lasting legacy, and their work was recognised at today’s Archery GB AGM. The Hartwell Trophy for the Archer of the Year was awarded to the chairman and lead coach of Wymondham Archers, Peter Hill. Why? Because he has improved club facilities, run regular beginners’ courses, put talent development and coaching ahead of his own shooting and has seen his club’s membership increase by over 50 per cent. He has also entered into partnership with the local rugby club so that there is a dedicated outdoor range with 7-day a week access and a shared clubhouse. The Archery GB Young Archer of the Year award went to double European champion Layla Annison – who added European Grand Prix mixed team gold during the AGM! Layla also won the UK Masters, Target Championships and National Tour titles. She holds four UK and one European Record as well as topping the British senior rankings and is the GB senior indoor champion. And it was all achieved while studying for GCSEs. The award was collected by her younger sister Anya, the current British Under 12s indoor compound champion. 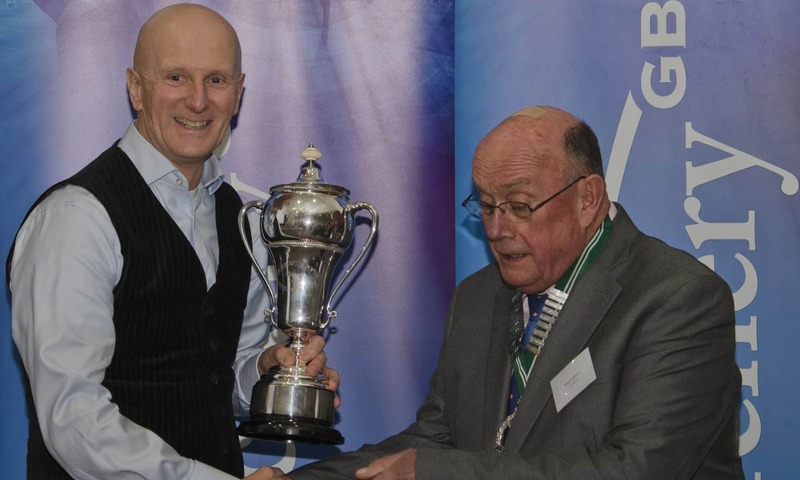 The Gussy Trophy for the wheelchair archer of the year went to double Paralympic champion John Walker. He only took up archery in 2013 and went on to pick up European and World titles but is retiring because of a shoulder injury. He is now transitioning to British Shooting and has one goal in mind – more Paralympic titles for Britain. The Toxophilus Trophy for the best magazine went to Derwent Bowmen’s weekly newsletter produced by Sarah Francis. Canterbury Archers fought off strong competition to win the Archery GB Club Website Award and the Region and County Website Award went to Essex and Suffolk County Archery Association. A few years ago, Archery GB took a fresh look at its Plaquettes system, focusing it on the work done by the unsung heroes who work tirelessly to help develop our sport at all levels from national committees to grass roots. This year is no different. Mark Davies joined Archery GB as an independent Director and was quickly made Chairman. His sole goal was to create a strategic Board – and he made it happen, sorting out governance issues and securing the trust of investors in archery such as UK Sport and Sport England. And he did all this while having a major heart trauma. running the Athens marathon to raise money for the hospital that saved his life and becoming Chairman of British Rowing. Chris Jones founded Merlin Archery, a long-time supporter of the Archery GB National Series and helped introduce the compound bow into the UK. He was a talented archer who competed at the 1976 World Archery field championships, a test event to help introduce compounds, and a keen volunteer. Chris passed away last year and his award was accepted by his son, Ben. Bob McGonigle has helped to transform archery from a traditional pastime into a modern national sport. After working with Scottish Archery he became Archery GB’s Director Scotland then Development and Marketing Director before completing his nine years on the Board in 2016 which saw membership grow from 30,000 to 46,000 and the 2010 Archery World Cup and the 2012 London Olympics. He also transformed the AGM, the website and many of the most important innovations. A man of many talents and roles, particularly as Chairman of Southern Counties, Steve Ellison always strives to move the region forward. Mark Davis is the safeguarding officer and treasurer for Kent. He has worked as a coach, tournament officer and, importantly, as a judge, giving up hundreds of weekends for the benefit of the sport. Peter Morris: an archer for 54 years, a judge for 48 years, a national judge for 28 years, an international judge for seven years and has served 11 years on the judging committee as well as officiating at three world championships and the Sydney and London Olympics. Andrew Rees: a pivotal member of the field archery community, organising the All-British Field Championships, managing the team and chairing the Operations Committee. Pippa Britton: a double Paralympian and on the podium at six world championships as well as being a Board member and Archery GB’s Diversity Champion. She will continue to focus on her work with Sport Wales and UK Anti-Doping. Catherine Wilson: our first Senior Independent Director and retiring Chair of the Audit and Risk Committee. Chris Fletcher-Campbell: became Southern Counties Treasurer in 2007, Honorary Secretary in 2013 and works tirelessly behind the scenes. Trish and Derrick Lovell: Derrick and Trish have shared Archery GB President duties for the past nine years. He is an International Judge (Emeritus) and has served on World Archery committees. Trish is a senior coach and international field archer. 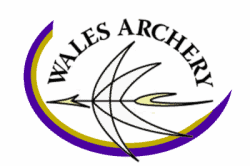 Ray Fisher: Chairman of Audco Archers for more than 20 years and pivotal to Shropshire archery. Andrew Neal: the “king of clout” who runs everything from the Tassel Awards to the National Clout Championships. Michael Vittles: a former county secretary whose work has been pivotal to Dorset and Wiltshire. Robin Leveridge: tournament organiser for Grand Western indoor events – invariably to the highest standards. Peter and Brenda Champion: Woking Archery Club was 50 last year – and for 40 of those, the Champions have been central to its running. Gloria Mead: British Field Team Manager and a past world field championships course designer. Steve Prowse: reigning European and World visually impaired para champion who holds 13 world records and has been undefeated for 18 years. Joan Griffiths: a highly respected judge, archer and Dorset and Wiltshire county official. Alastair Robinson: for his coaching and professionalism over many years at regional and national levels. Martin Skinner: Essex and Suffolk’s Honorary County Treasurer for the past 25 years. Richard Anderson: a field party member at national tournaments and part of the BUCS management group. Pat Callaghan: a dedicated club and county committee member and tournament organiser in Leicestershire and Rutland. Malcolm Higman: a dedicated supporter of VI and wheelchair archery who has redesigned equipment to improve accuracy and make it more portable. Paul Clark and Debbie Horn: for their work with the Junior Committee. Paul Gregory, Barry Du-Crow and Nick Hayball: for developing the longbow and barebow rankings.